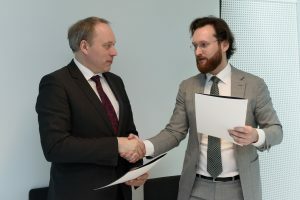 Earlier this month, Kaunas University of Technology (KTU) and Centric IT Solutions Lithuania signed a cooperation agreement. Four EUR 500 scholarships for the talented students of the Faculty of Informatics kick-started the official cooperation. The cooperation agreement between the Netherlands IT giant’s Centric Lithuanian branch headquartered in Kaunas is including joint research and human resources projects, science production, science and technology information exchange and cooperation in other fields. Under the agreement Centric IT Solutions Lithuania is committed to not only to inform the University about the needed specialists, to provide feedback on the graduates employed by Centric, but also to organise traineeships and work-placements, and to appoint qualified staff to supervise final students’ projects, to read lectures and seminars in the University. 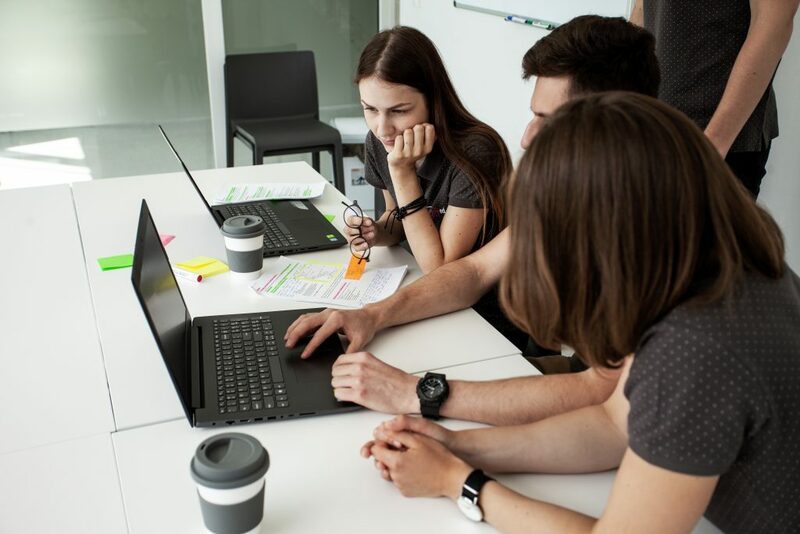 The students will be able to enjoy the fruits of this collaboration very soon – 4 talented KTU Faculty of Informatics students, working in the field of cloud engineering, will be awarded EUR 500 scholarships this May. “Kaunas University of Technology and Kaunas business organisations are vital to our city and regional development. As KTU aims to become a science and technology leader not only in Lithuania but also in the Baltics, we are involved in constructive dialogue with business, in exchanging ideas and focusing on creating the mutually beneficial added value. Youthful, ambitious and forward-looking Centric IT Solutions Lithuania is an ideal partner for achieving these goals”, says KTU Rector Professor Eugenijus Valatka. Paulius Samoška, Country Manager for Lithuania at Centric is also convinced that the collaboration will be mutually profitable. “Collaboration with Kaunas University of Technology is very important for Centric. We have already established a scholarship for the talented students of informatics, in the future, we are planning to financially motivate students of mathematics and natural sciences. Mentorship, sponsorship, supporting educational institutions and talented young people is in the Centric company culture’s DNA, and we are pleased to implement and to expand this tradition in Lithuania”, says Samoška. Although officially the agreement between Centric and KTU was signed last week, the actual collaboration has been going on for almost a year. Centric IT Solutions Lithuania representatives are involved in the development of the quality of study programmes. After the opening of the Centric IT headquarters in Kaunas, three talented trainees KTU students joined teams of different professionals and have been working in Centric for three months. Established in 1992, Centric IT is one of the major providers of software and IT solutions. The company has divisions in 9 countries and employs around 4,300 staff globally. At the moment, 40 professionals of different fields work in Centric IT Solutions Lithuania.